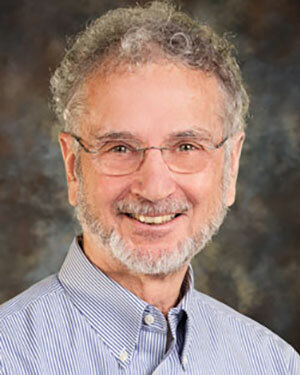 Don Berry is Founder of Berry Consultants, LLC, and a professor in the Department of Biostatistics of the University of Texas M.D. Anderson Cancer Center. He was founding Chair of this department in 1999. Dr. Berry received his Ph.D. in statistics from Yale University, and previously served on the faculty at the University of Minnesota and at Duke University. He has held endowed faculty positions at Duke University and M.D. Anderson. Since 1990 he has served as a faculty statistician on the Breast Cancer Committee of the Cancer and Leukemia Group B (CALGB), a national oncology group. In this role he has designed and supervised the conduct of many large U.S. intergroup trials in breast cancer. Through Berry Consultants, LLC he has designed many innovative designs of clinical trials for pharmaceutical and medical device companies and for federally funded collaborations in many different diseases. He is well known as a developer of Bayesian adaptive designs that efficiently use information that accrues over the course of the trial. These trials minimize sample size while increasing the likelihood of detecting drug activity. Under his direction the Department of Biostatistics at M.D. Anderson designed over 300 clinical trials that take a Bayesian approach. He is co-developer (with Giovanni Parmigiani) of BRCAPRO, a widely used program that provides individuals’ probabilities of carrying mutations of breast/ovarian cancer susceptibility genes BRCA1 and BRCA2. Dr. Berry is the author of several books on biostatistics and over 300 published articles, including first-authored articles in the New England Journal of Medicine, the Journal of the American Medical Association, and Nature. Dr. Berry has been the principal investigator for numerous research grants from the National Institutes of Health and the National Science Foundation. He is a Fellow of the American Statistical Association and of the Institute of Mathematical Statistics.